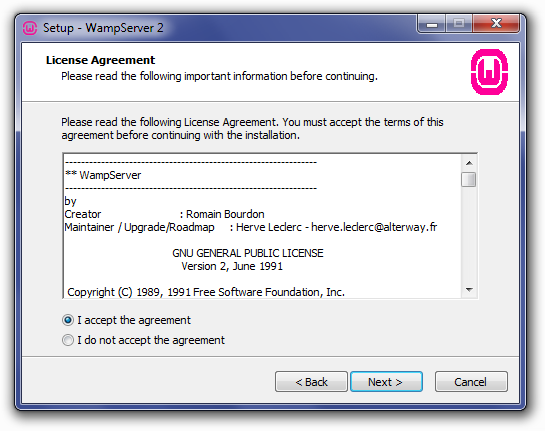 After completing the downloading of WampServer in our previous article. 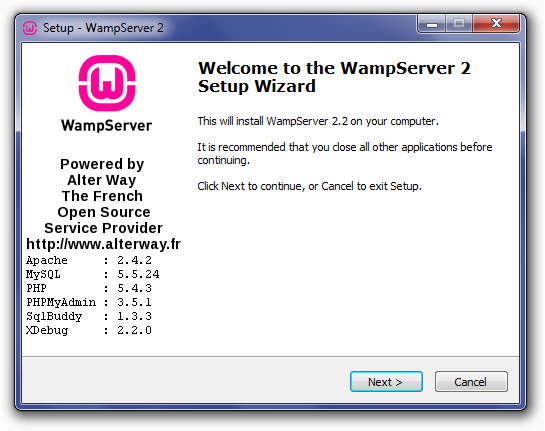 Here we’d like to discuss the Auto installation process of WampServer. 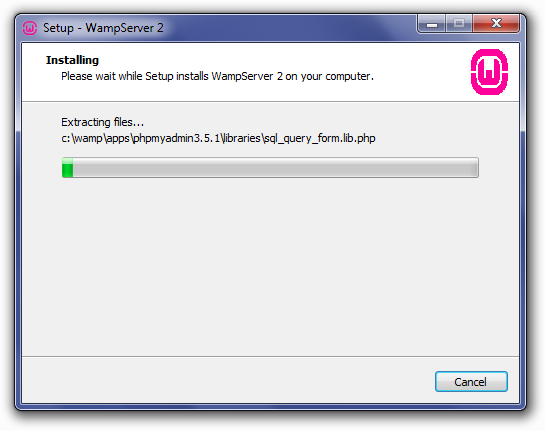 Also will continue with the topic, How to install Magento on Wamp?. Further pay a visit to Aspiration Hosting for Holiday promotion code. Upgrading your hosting plans or new hosting purchase will enjoy up to 28% discount for the first invoice (expires Jan 10, 2018). If you have any question please feel free to contact our sale team using live chat!! 1. First go to the download folder in local PC. Next find WampServer.exe zip file. 2. Secondly use any software like WINRAR to unzip the setup file. 3. To startup installation double-click the EXE file. It might ask for administration permission. In that case allow to run as administrator. 4. In other words, click Run to start the installation process. 5. A new screen will pops up with a welcome massage. So, click next to continue with the setup. 6. Now in step 2 a new screen will pop up with a license agreement. Simply click on the radio button “I accept the agreement” and click next again to continue. 7. Here in step 3 again a dialog box pops up. Basically here we can configure installation location in local PC hard drive. So, type in the exact location and click next to move with further steps. 8. Next screen is a screen where we can set the icons both in Windows Quick Launch & Desktop. For example if we want to show the desktop icon we’ll tick the square box in front of that option. 9. However by clicking next we’re finally on the installation. Here the screen also show the options selected for installation to review. If everything goes right click Install and it’ll begin to extract the files to install. 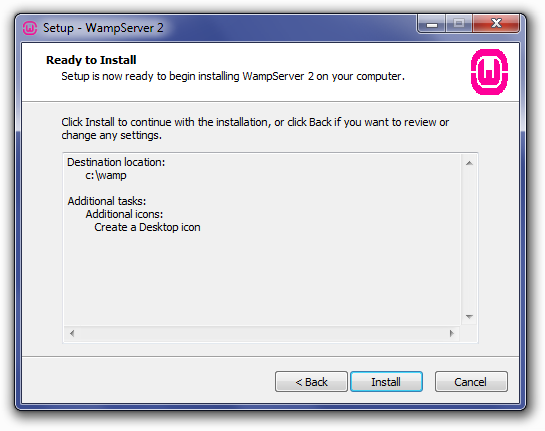 Further in the 3rd part of the article heading”how to install magento on wamp?” we’ll complete the installation process of WampServer.